Brothers3 were arguably the most intriguing act of the 2014 season of ‘X Factor’. Hailing from country New South Wales, the trio – made up of brothers Shardyn, Tayzin and Makirum – sailed through the competition on a wave of home viewer support, ultimately finishing third. They popped out their winner’s single ‘The Lucky Ones’ through Sony (a top 30 hit), but disappeared from radars soon after. 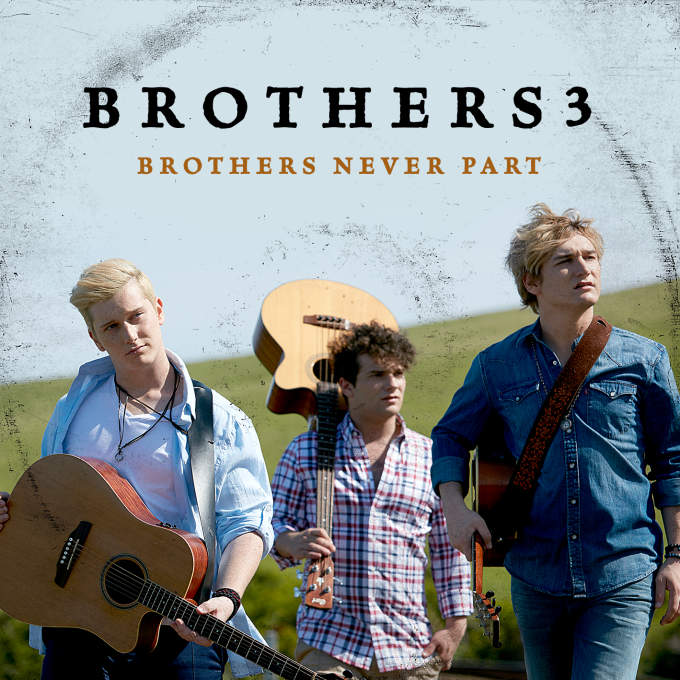 Now with Warner Music, Brothers3 today release their long-awaited new album ‘Brothers Never Part’. 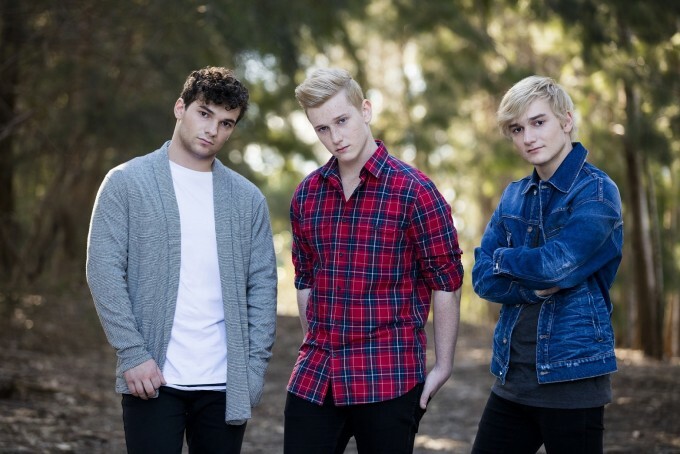 It’s a project that celebrates their time on ‘X Factor’, but also gives us an indication of the progression of the trio in the year and a bit since. We chat with youngest brother Makirum (aka Mak) about the new LP, but he begins by revealing that the boys’ decision to apply for ‘X Factor’ came down to a simple vote. However, tells us that their appearance on the show wasn’t about the exposure. “It was more of an experience thing,” he explains. “We didn’t do it because we wanted to be famous. We did it because we wanted to experience it. You’ve seen Taylor Henderson and Dami Im and all these people go on the show and you see the amount of fun and experience… every week they get better as performers and we wanted to experience that. “We pretty much wanted to have the ‘X Factor’ experience. We just wanted to perform – share our songs with Australia and then also just get that experience under our belts. You learn a hell of a lot. Not just about performing, but also about the TV side of things. ‘The X Factor’ experience also had another unexpected positive; inspiring the boys’ recently-released single ‘Brothers Never Part’. “We spent 24/7 together. We spent every hour of the day almost together. We were sleeping in the same room, we were performing, we were practising together. Every hour of the day, we were together. So we had to learn how to deal with the highs and lows as a trio. And that brought us together more as brothers and made our brotherly bond stronger,” Mak explains. The song is the title track and one of four originals on Brothers3’s new album, which arrives at retailers today. The LP is an opportunity for the boys to revisit the songs they performed on ‘X Factor’, while giving their audience an indication of how they’ve finessed their act in the year and a bit since. And, he says, that the challenge of balancing a snapshot of their time on ‘The X Factor’ with providing new material was a difficult one. Along with their ‘X Factor’ numbers, the album also comprises four originals. We ask Makirum to explain each of them to us. “As you know, there’s ‘Brothers Never Part’,” he begins. “It’s about the whole being together as a band, an obviously we’ve been together our whole lives. Through the ups and down and the rollercoaster ride that we’ve been though, at the end of the day, we always come back to each other and we’ll always stick together, because that’s what brothers do. So that’s pretty much the story about that song. As cheesy as it sounds, it’s so true. “Then we’ve got ‘C’Mon’, which is going to be released soon. It’s a bit more of a pop song. A bit of a good vibe/party kind of song. It’s not really like a deep and meaningful song in terms of that whole ‘brotherly love’ vibe. It’s just about having a good time with some friends. It’s that kind of really feel-good chilled song. “‘Tornado’ is another original. I don’t know whether that will be released as a single, but we started off writing a love song. And then Shardyn got really dark with his lyrics so it turned from an ‘I love you’ song to a ‘why would you do this to me’ song. I wouldn’t say it’s a personal experience. It just sort of turned out that way. 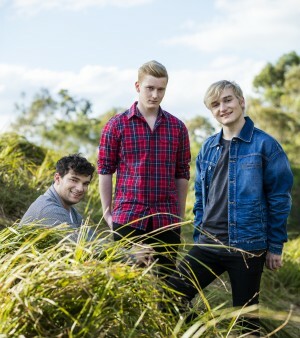 Given the time that’s passed since their appearance on ‘The X Factor’, which wrapped in October 2014, the boys remain realistic – though optimistic – about the album’s commercial chances. “If we had to release recently, we would have had to fight Adele, which is impossible. Obviously it’s every muso’s dream to become internationally successful and of course we want the album to do as well as it can and it becoming number one would be incredible. Absolutely incredible. “But we haven’t got those expectations. What we’re doing is that we’re saying we’ve done the best we can and if you’ve done the best you possibly can, you can’t say you didn’t try. It doesn’t matter if it doesn’t go number one for us. If we get two sales we’ll be happy. Because that’s two people who like us. “We’re not doing it for success or fame. Honestly if you’re a muso and you’re doing it for success, you’re in the wrong industry. Because unless you’re Justin Bieber or Ed Sheeran or Taylor Swift and you’re that level of famous, you’re not going to make the money you want to make. Brothers3 will soon give back again, by embarking on a series of headline shows around the country (keep your eyes peeled on their socials for details soon), but in the meantime, there’s a swag of performances and appearances in Tamworth kicking off tonight as part of the annual country music festival. “We’ll be playing tracks from the album, but we’ll be doing some songs that we’ve played six years before, when we first started in Tamworth. Then when the national tour kicks off, it’ll be changing along the way. Every show we want to make different, because we want to improve as artists. “We do have fans who come and see five or six shows. We’ve got a fan who I think travelled from Broome to Coffs Harbour just to see a show. Broome in Western Australia to Coffs Harbour! That’s a trek and a half! So we want to make sure that they don’t see the same show every time. Brothers3’s album ‘Brothers Never Part’ is out today.